First of all, thanks to all of you for being patient. The last week was really tough - exarcebated by lack of sleep and food - but enjoyable at the end for the insights i received from my work. The title of this post is what the 'Mozart of Math' said in an interview yesterday (more on him later in the post). He just received the Fields medal last month. Is the Nobel equivalent in Mathematics. "Equivalent" because the Nobel is not given in Mathematics (seriously). Basically, Nobel hated mathematicians because one of them had an affair with his wife. Well, that is the common masala story, the version you'd hear in a Bombay local train if your co-passengers had the same interest in math as in the stock market. This version has just one small problem : Nobel wasn't married. Rumour faila ne ke pehle at least thoda research kar yaar. Read about the more probable reasons here. Apart from being the 'Nobel of Mathematics', another reason why the Fields medal is highly regarded is because it's not awarded annually but once every four years + you have to be under 40 to get it. (They're so unreasonable, aren't they, these medal-wallahs?). But get this. A Nobel gets you about $1,000,000. A Fields gets you $13,400. No. i am not missing out any zeros there. Thirteen Thousand Four Hundred Only. Of course, it's more about the prestige. But the sheer gap in prize money probably points to a problem that the title refers to : 'Marketing'. Shocked? Baccha dikhta hai na? Age 16 : Bachelors degree, " "
"It's not about being smart or even fast," he said in an interview at UCLA last year. "It's like climbing a cliff; if you're very strong and quick and have a lot of rope, it helps, but you need to devise a good route to get up there." Doing calculations quickly and knowing a lot of facts are like a rock climber with strength, quickness and good tools; you still need a plan — that's the hard part — and you have to see the bigger picture." "...work may have implications for possible new methods of encryption and security of information"
Link for the above quote here. Also see this for some idea on the kind of research he's doing. Finally, check his university website out. In particular go to this link and do one 'page down' - i found it hilarious. First time i have ever read anything like that! When i first started reading about these geniuses about 15 years ago, i used to get really depressed. I felt so small when i looked at what all they had done. But thankfully i have somewhat overcome this over the years. I think it's even futile to pit yourself against someone else - higher or lower in talent. The operative word being 'pit'. The best thing, IMHO, is to draw inspiration from these greats. These are thinkers who just keep pushing the limits even further showing us what the mind is capable of. In fact, to be honest, some of my problems have been solved after reading a Feynman story. It's like my mind says "Compared to the problems these geniuses deal with, my problems are so insignificant" And then just that thought of possiblity gives a breakthrough. Many (most?) geniuses have been known to have eccentric/troubled personalities. Famous examples being William James Sidin, John Nash. 2) To have an above-average intellect (enough to make a small mark) but be 'normal' in all other social aspects. I'd anyday choose option 2). My colleagues/friends tell me that i'd do that because i am not in the position of a genius who's so absorbed in his work and derives so much of joy from it, that it doesn't matter to him. Well, i don't know. Reality is different. 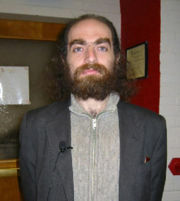 Take for example , Grigori Perelman. 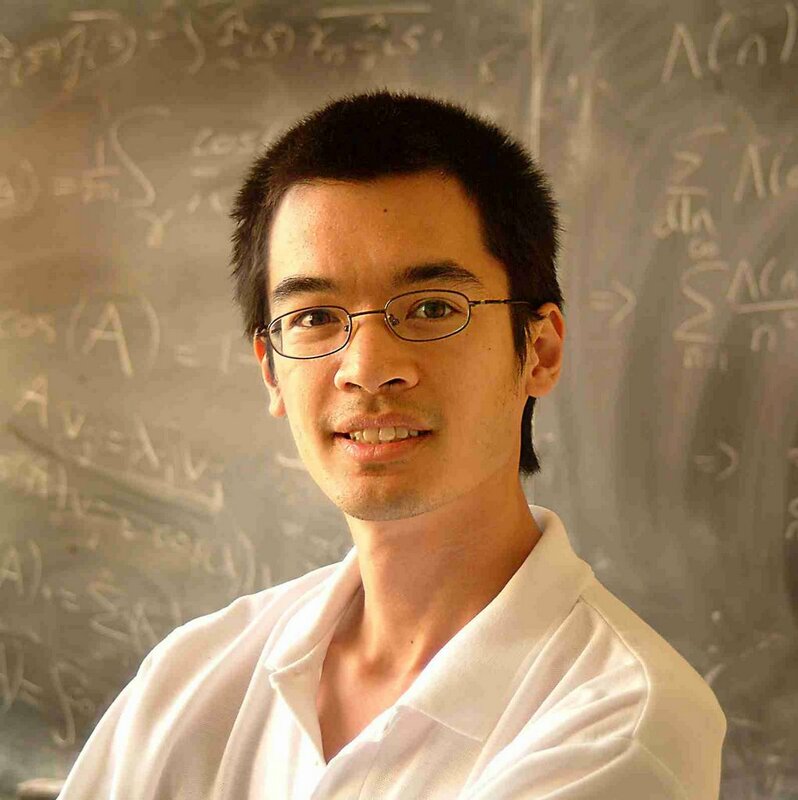 Won the Fields medal this year along with Terence Tao. Refused it! "Friends say evidence of Dr Perelman's innate modesty came when - having finally solved the problem after more than 10 years' work - he simply posted his conclusion on the internet, rather than publishing his explanation in a recognised journal. "If anybody is interested in my way of solving the problem, it's all there - let them go and read about it," Dr Perelman said. "I have published all my calculations. This is what I can offer the public." Guess what? He's currrently unemployed living off his mother's pension! In fact, he's apparently so disillusioned that he's given up mathematics! (ala Sidin). Read about it here. So, is he happy? No way. What happens then to all that 'math for math's sake' and 'derive joy from the process' stuff. The question is what's the point in being a genius if you're not happy. But, i guess one doesn't have a choice. You are just born one. That's your burden. As for me : anyday option 2.
two extreme personalities. However, acadenicians, untill they reach such a high level, can not afford to publish on internnt. What matters is HOW MANY journal papers, patents and sponsored research projects they have! Not even the quality. Statutory warning: Too much hindi may drive away even a few of your regular readers! No not me. Very true. The quantity thing is sickening. But in this case, Perelman was already highly regarded. And Clay Math. Inst. even offered to reduce the requirements for him. The wait was worth it, Sharan! An excellent post... and on the lines of what we have been discussing for such a long time (but with new examples). Even I would opt for the second option but I have my own reservations on the use of words "enough to make a small mark". When was the last time we become content with our life? I believe that the world runs only on two things: Success and Failure. I fully realise that the day all of us realise the ultimate truth of the purpose of our birth on this planet, the world will come to a standstill, and it is not in our interest. I second your views on comparing ourselves with the super-achievers. All of us want to be successful. Once we get success, we want recognition. Ones you have recognition, you want to be compensated accordingly, either by way of awards/ rewards or monetarily. When you have some exceptions to this behaviour, you will find them on our blogs as discussion topics. Thanks Sandeep - and for the apt comments. Very true. On second thoughts, i agree, that 'enough to make a small mark' isn't needed! > Terrence Tao baccha dikhta hai. Hum sab aap ke liye bhi yahi bolte hai! geniuses are of two types I guess the more conventional ones like say Sachin Tendulkar and the more maverick ones like say John Mc Enroe or even Brian Lara for that matter.....you've probably capture both types very well here! >Many of you still call me 'child','young' etc. Actually, a goodish IQ and success in silicon valley is what would make m the most happy. Embarassing question this :)...hint is ,i now have grey hair all over...damn! Someone forgot my 'Bappa Morya' question. Haha. Answer when you can. And Mr. Sharan, which field do you work in? Research? No - haven't forgotten...but thanks for the reminder. Bappa is synonymous with 'Baap' i.e father. Morya is the word for 'me' that you might have heard in some (old) Hindi songs - 'Mohe'. So 'Ganapati Bappa Morya' means 'Ganpati my father'. So typically in Mumbai they would say "Ganapati Bappa Morya, pudhchya varshi laukar ya" = "Ganapati my lord/father, come back soon next year"
If you come across alternate explanations do let me know! P.S - my field: I am a Statistician-MBA - i.e like to dabble in both the technical and business side of the industry. Industry being that of media - since i specialize in media research. an MBA, knows so much about research, interesting. btw, I have about 2 to 3 grey hair. Actually i call myself more a statistician than a business manager... more respectable? :)...but i do beleive that the two should go hand in hand in a corporation. There are lies, damned lies and then there are Statistics..
Read it in a statistics book's preface a long time ago.Haha. Anyways, Statistics is incredible. Glad you combine it with the business aspect or else it would be redundant to just research without application. Gotta be pragmatic these days, ya? And thank you for the Bappa Morya help..I felt that way too..since it sounds mile Baap mera u see..but wasn't sure as it doesnt sound nice that way in hindi. Thank you. And do check out Don. Has a Ganpati song in it.Releasing soon. It's always inspiring to revisit these posts... Thanks once again for such a wonderful post! i myself can't remember these posts now! Thanks to your comments, i found myself clicking the links and wondering when i read all this!